The Battery Tender Plus is a 1.25 amp battery charger designed to fully charge a battery and maintain it at proper storage voltage without the damaging effects caused by trickle chargers. Included is a quick connect harness for hard to reach areas. - usually ships by next business day, please allow 1-5 additional days for delivery to most US locations. 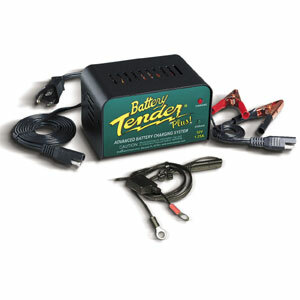 Battery Tender at 1.25 amps will charge as fast or faster than any 3 amp charger available.